Dr. Lopez’s specialty is geriatric and palliative medicine. He is the director of the Geriatric and Palliative Care (GAP) Consult Service at North Shore University Hospital, Manhasset, NY. He is an assistant professor of medicine at the Zucker School of Medicine. Dr. Lopez is a Family Medicine Physician with fellowship training in geriatric medicine and palliative care. He is board certified in all three specialties. Dr. Lopez received his medical degree from Universidad de Caldas, Manizales, Colombia. He then completed his residency training in Family Medicine at Wyckoff Heights Medical Center. He accomplished fellowships in Geriatric Medicine at North Shore University Hospital/Zucker School of Medicine and Palliative Care at Beth Israel/Mount Sinai School of Medicine in New York City. His main passion is helping out the vulnerable and growing population of patients and families dealing with advanced illness. 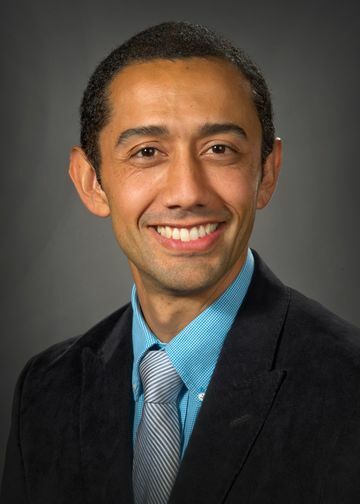 Dr. Lopez’s research focus includes education with a special focus on geriatrics, palliative care, symptomatic management and patients with advance illness. He also focuses on impacts of palliative care on metrics related to health care such as length of stay, readmissions, patients satisfaction, hospital associated complications. Santiago Lopez, MD. “When Opiates Are Framed: A case where symptoms of Wernicke’s encephalopathy were attributed to adverse effects of opiates. Avoiding stigma toward and improving knowledge about opioid treatments may not only facilitate appropriate symptomatic treatment but also treat alternative diagnosis that may even cause life threatening situation.” Poster presented at AAHP 2016. Santiago Lopez, MD, Bridget Earl MD, Tara Liberman DO, Maria Carney MD, Marina Kushnirky BA, Regina Roofeh. “Metrics Matter: Use of Operational Metrics to Evaluate a Growing Inpatient Palliative Consultation Service.” Presented at CAPC conference 2016. Santiago Lopez, MD, Liron Sinvani, MD, Judith Beizer, PharmD, Gisele Wolf-Klein, MD. (2013, March). “Should We Still Use Insulin Sliding Scale For Diabetic Older Adults In Skilled Nursing Facilities (SNF)?” Poster presented at ACPM meeting 2013; Phoenix, AZ. AMDA meeting 2013; Washington D.C, DC. AGS meeting 2013; Grapevine, TX. Abstract selected at 2013 Academic Competition of the North Shore-LIJ Health System. Abstract published in JAMDA and JAGS. Preeti Lekhra, MD, and Santiago Lopez, MD. (2009, April). “Quality of Pain Assessment in Non-Verbal Geriatric Patients by Residents and Nursing Staff.” Poster presented at: Society of Teachers Family Medicine’s 43rd Annual Spring Conference; Vancouver, BC.